Facebook recently rolled out Instant Articles, a new feature for the Facebook app that is sure to make both iPhone users and large publishers extremely happy. Any article with a lightning bolt icon on your news feed loads 10 times faster than normal web articles – a welcome addition to people who regularly read and access articles through the social network. They don’t only load fast: Facebook claims they provide a richer experience than standard web articles. In their words, Instant Articles provide “dynamic features” that make content “more fluid, interactive, and immersive”. The Atlantic’s photo blog in Instant Articles lets you zoom in and explore the details of high-resolution photos just by tilting your phone. Instant Articles from NBC News features autoplay videos that come to life and begin automatically as readers scroll through the story. Readers can engage more deeply with BuzzFeed’s Instant Articles by liking and commenting on individual photos and videos throughout the story. Beautiful photo galleries in Instant Articles from The New York Times are seamless to swipe through. National Geographic’s Instant Articles let readers explore where the story happened with geo-tagged images that open interactive maps. Note that not every web publisher or website is supported by Instant Articles – yet. The current lineup includes bigwigs like the New York Times, National Geographic, BuzzFeed, NBC News, The Atlantic, NBC News, Slate, MTV, Cosmopolitan, Daily Mail, The Dodo, The Huffington Post, Mic, Vox Media, and the Washington Post. Sports publishers like Bleacher Report, Fox Sports, NBA, CBS Sports, and MLB. Magazines and newspapers like Time, NY Post, USA Today, and Business Insider. Publishers of entertainment news like Entertainment Weekly. Lifestyle websites like MindBodyGreen, Popsugar, Refinery 29, and Good Housekeeping. Humor and satirical websites like The Onion and Cracked. 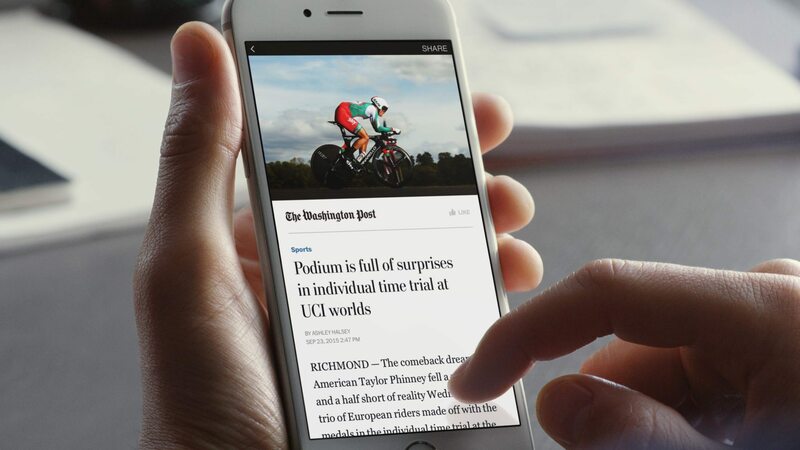 Currently, only iPhone users are able to see and access Instant Articles. Support for Android devices will come later in the year: the public beta will be launched later this week. This feature is an outstanding addition to the social network, benefiting everybody especially users with rather slow Internet connections. Publishers will likely see an increased reader base and more people will be able to seamlessly read articles both at home or on the go. The Instant Articles are uploaded into Facebook’s server (not the publisher’s) which is why they load exponentially faster compared to their counterparts. Publishers are also in control of their ads in Instant Articles – the traffic can be then tracked through their own analytics. Autoplay videos, high definition photos, and interactive maps are also supported, giving publishers full customization power and readers a better reading experience. The Facebook app is free and can be downloaded through iTunes or the App Store. 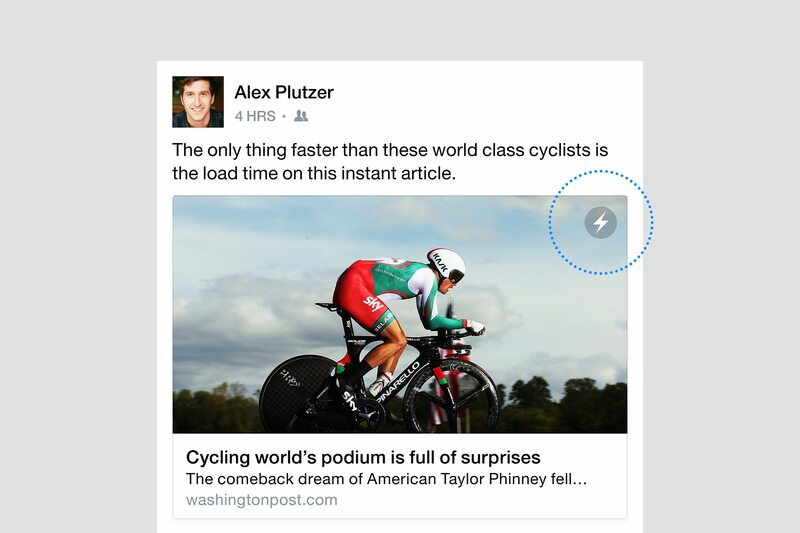 We’ve tried accessing Instant Articles throughout Facebook. The whole thing works like a charm and the articles, including the photos and the multimedia embedded within them, load within milliseconds. The only bad thing about it is that compared to other articles, the ones supported by Instant Articles is still in the minority.